I am researching safaris for Southern Africa through Namibia, Botswana, and South Africa with possibly a stop at Victoria Falls. We are looking at both guided tours and doing a self-drive for about 20-24 days. We like the idea of having knowledgeable guides for information and finding game, but also are interested in having our own adventure. Has anyone done a self-drive safari? Would you recommend it, or is the knowledge of a local guide something that we shouldn't miss? I can show you my experience in guided and self-drive safaris. That's my experience and it could be different depending on the parks, the weather and other conditions. My experience is limited to Uganda, Kenya and Tanzania, which are on the East side of Africa, and Senegal, which is at the north; and there are not too many game parks. I have in mind a travel to Namibia-Botswana; according my research (asking people that have made safaris in east Africa and south Africa), all African parks are similar, except Kenyan ones (which are very crowded). In these videos you can see what a "safari van" is like inside and outside (sorry, the video is in Spanish). As you can imagine, it is not the most comfortable option. If you are thinking of an "exclusive safari," I think this is a great option, but if you don't want to waste a lot of money, or if you would like to feel the (partial) adventure of driving surrounded by game, I recommend you rent a small 4x4. It is better than a safari package. Why? Drivers have to rest, you do not. As you know, drivers are workers and they have a timetable. They are working, not relaxing. Also, they have gone hundreds of times to the park, have seen thousands elephants, and are not as excited as you when they see a leopard. This means they probably won't make the most of the day as you will do. Drivers tend to protect the car. In Africa a car is a luxury, and it is very expensive to repair, so drivers rarely try to do things like cross a river or go up a hill. If the driver owns a van, that likelihood of avoiding rough terrain is increased. Drivers tend to save fuel. There is a speed limit in the parks of about 30-40 kilometers per hour, theoretically. Hired drivers typically won't go more than about 20 km/h; self-drivers usually go 50 km/h. This is because you pay in advance, so they will try to get you to see all animals, but in a limited part of the parks. If you pay an extra fee, a driver won't have any problem to take you where you want. Driving is fun! And driving in Africa is double-fun! And don't worry about getting stranded; you are in a touristy area. Sooner or later somebody will come to help you. We always could use our mobile phones, and we had really difficulties staying alone for more than 30 minutes anyway. If you can read Spanish, I point you to some interesting articles in my blog (like this and this). A common criticism against self-driving is that the driver-guides know where the animals are. That's not my experience. The animals are free to move, and the only advantage a driver has is their knowledge about the areas where animals "normally" are. For instance, you never expect to find a leopard in the middle of the savannah, but rather, in a tree. You can adquire this knowledge, believe me, in less than a week: animals are spectacular, but predictable. A common-sense rule that you have to follow (and car drivers do) is to go anywhere where you see a lot of cars stopped. Also, you can ask other drivers (self-drivers or not) about what they have found. Finding animals is not so difficult, except for some of the rare animals (rhinos) or those with uncommon behaviours (tree-climbing lions). Our family of three had a three-week trip to Botswana, flying in and out of Johannesburg. Our trip was a hybrid of self-drive and budget safari package. We rented a normal road car in Johannesburg, drove to Gaborone and visited a friend, then drove with the friend up to Kasane in the north-east. We stopped in various places and took group safari expeditions for the day, e.g. the Makgadikgadi Pans and Victoria Falls. Our friend took the car back to Gabs and returned it. We joined a budget safari through the Chobe National Park and the Okavango Delta, ending in Maun. We spent a few days in Maun, then flew to Johannesburg. our guide and cook did all the work of setting up camp and cooking, and boy did they work hard! In this as in many other travel decisions, the answer to the question, "do A or do B" is "do a combination of A and B, as it suits your situation and preferences". So you have 20-24 days to spend and you are (potentially) ready to do a self-drive. In this I would suggest the following strategy. It is based on my experience and I have been very happy with it. Start by picking the places you would like to visit and setting up an itinerary. Along this itinerary you will do the driving on your own. When you are visiting parks and games reserves along this itinerary, you can choose to rely on the services of a guide. As far as private game reserves are concerned, you will need the services of a guide. You won't be allowed to stroll around on your own. In bigger parks, such as e.g. Etosha, Kruger, Hluhluwe-Umfolozi, ... you have the choice. You can do one or another tour with a guide and tours on your own. If you have a good guide, you will learn a lot about the animals and nature. Moreover, with a guide you have options that are not available otherwise, such as night drives or a walk through the bush. 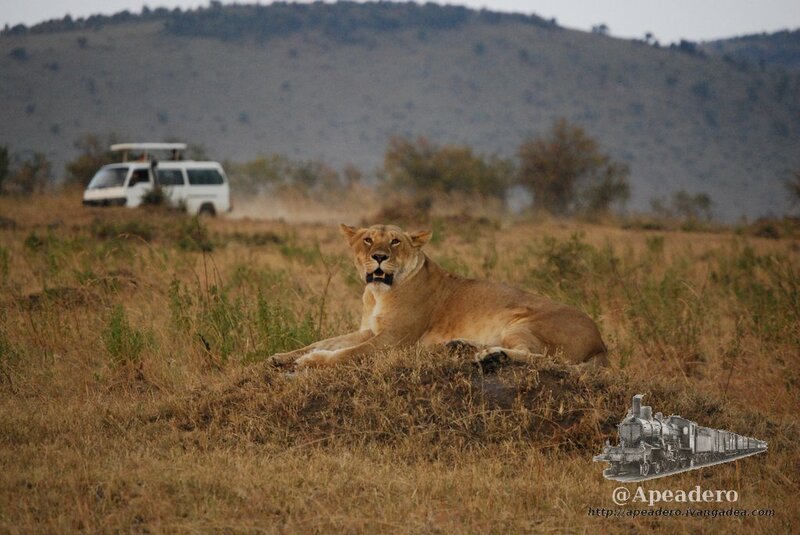 Our driver and Masai spotter in Kenya certainly noticed animals before any of the tourists had spotted them. I think we would have completely missed some if we were on our own. Driving between the parks is generally not too difficult, even if some of the roads are terrible. My suggestion is therefore to do the majority of the travelling yourselves between parks and arrange dawn/dusk guided game drives once at the parks. You can always do some game drives on your own to save money or see the difference. Not the answer you're looking for? Browse other questions tagged driving south-africa guides namibia safari or ask your own question. Is renting a car in South Africa to drive around the country a safe transport option?